Went to be with God on January 18, 2015. 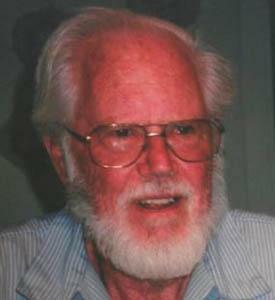 He passed away at his home in Sebastopol, CA, at the age of 78. Don was born in San Francisco, CA, and lived in Fort Bragg, Sebastopol, then Santa Rosa. Don was a highly skilled upholsterer for 57 years and owned his own business. He was a great handyman around his place and loved gardening. The ocean was Don's favorite place to hang out. He loved rock fishing and skin diving for abalone. Classic cars and camping were special interests of his, too. Don is survived by his wife Christine, and sister Darlene Fellows. He is also survived by his children, Donald Hincher, Jr., Eric Hincher, Nicole Deramo, and Natalie Hincher; his nine grandchildren and seven great-grandchildren. Don was a wonderful husband and father, and will be missed dearly. Services will take place on Saturday, January 24 at 10:00 a.m. at Pleasant Hills Memorial Park, 1700 Pleasant Hill Road, Sebastopol, CA. 1940 census, Rockport, Ten Mile River Township, Mendocino County, California; roll T627-263, ED 23-22, page 11A, line #15, household #255.